Hello friends, I'm back again with an interesting but technical tutorial on how you can remove annoying Ads pop ups on Apps, such as VPN apps, Battery apps and the likes of them. There are some apps that displays Adverts in such a manner that you will spend the whole of your day clicking on Close Ad ❎. It's very annoying. Though, that's one of the ways the developer earns from their app as you are using the app free of charge. I don't really advice you to start removing Ads from apps. It's not advice-able, because that's the only way the developer earns from the app. You can only do this if you notice that the Ads pop up frequency is very high. That is, if it pops out ads too frequently, that's when you can think of disabling the Ads on that particular app. Incase you don't know, Apps that pops out ads too frequently tends to run very slow, most especially if it's a VPN app. It will reduce the normal speed of your browsing, because the ads is running inside the app which allows it to pop out based on the frequency set for it to pop out. NOTE: Only try this on Apps that displays or pops out Ads too frequently. We are going to be using an app called Lucky Patcher for this operation. It's not a new app. It has been available for years now. I'm sure you might have heard of it somewhere somehow. The app works on both rooted and unrooted Android device. So, you don't have to panic if your device is not rooted. I will be using a VPN for this tutorial. I will show you how i disabled ads from apps that displays ads too frequently. To be precise, i will be using AnonyTun VPN for this operation. Kindly follow me along. I found out that AnonyTun VPN displays ads too frequently and it's so annoying and slows down my browsing speed when connected with the vpn. So, i had no choice than to disable Ad activities on the app. >> First of all, download and install Lucky Patcher apk on your Android if you don't have it. >> Now, tap on it. Fonts will automatically turn to Red. >> Congratulations, you have successfully disabled Ads Activities on that particular app. You can then Launch the app. Henceforth, you will never see ads pop ups from that app. As you can see in below screenshot (that black box). >> You can Enable ads activity again on that app, by just tapping on that package again - that ends with ads.AdActivity. That's all friends. Are you still confused? Kindly leave a comment below and I will provide solutions immediately. Don't forget to Download our Android app on Playstore. other apps include 1. adaway 2. doze [plugin for 'shutapp'] 3. adguard 4. android firewall[rooted devices]. More coming shortly. for those having issues,on LuckyPatcher select d app u patched, den select "tools" & select "remove ODEX with changes". dis procedure restores d selected to normal. 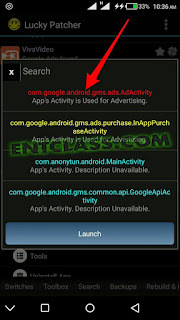 afterwards u can try a slightly different method of patching ads using luckypatcher. Try the above tutorial again to stop the ads. 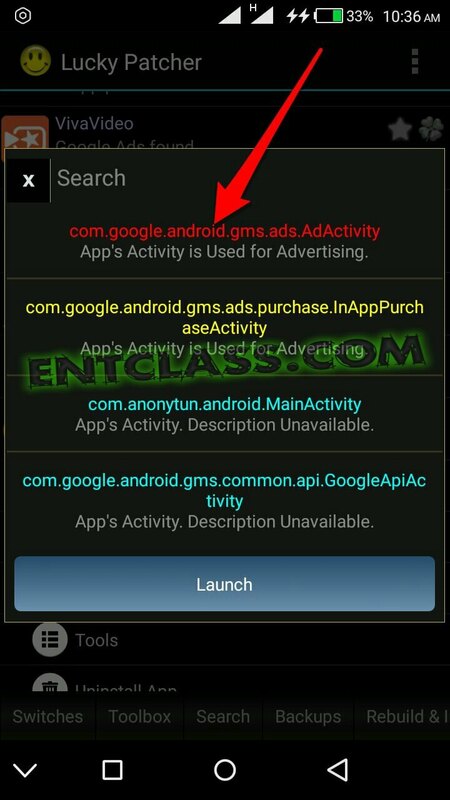 u can rebuild app with ads removed using luckypatcher; with this method & a few other tweakings here and there, there are NO ads on my hot note pro. it is one thing to remove ads [generally], and its another thing entirely to remove "google ads" as well. still, luckypatcher can do both for you smoothly & peacefully,if u have d info for it.